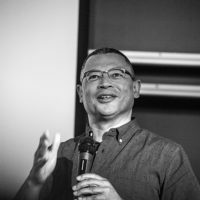 Please note: Edgar Pieterse, Director of African Centre for Cities will be on sabbatical from 1 August 2018 to 31 July 2019. Please direct any matters to Acting Director Andrew Tucker during this time. In my research and teaching I extend myself across theoretical and applied concerns. As an urbanist, I am deeply fascinated by the drama of cities everywhere and at different moments in time, including the future, the past and science fiction invocations. Simultaneously, I endeavour to remain grounded in the tough and messy realities of cities—invariably always on the move—working with materialist and aesthetic optics. My own work is rooted in two South African cities, Johannesburg and Cape Town but I also track the fortunes of African cities as part of larger discourses on sustainable urban transitions and Southern urbanism. Radical Social Economies: One of the most urgent and complex challenges facing Southern cities is the large-scale lack of productive employment and access to socio-economic rights in the form of vital services. This multi-year research project (July 2017-December 2020) will endeavour to bring together articulate, diverse literatures such as: small and micro enterprise development linked to micro credit schemes; cooperative movements; social and solidarity economies; the circular economy; and the informal economy literature. Surprisingly, there is very little cross-pollination between these literatures especially as it relates to the imperatives of place-making. This inquiry wants to use the integrative and spatial implications of “design thinking” and “empowerment ICT” as conceptual threads to bring these literatures into conversation to figure out how best to understand, foster and mainstream radical social enterprise that promote place-making. The research will also involve in-depth case studies of innovations in diverse African cities. The project is done in conjunction with anthropologist, Dr Tatiana Thieme in Geography at University College London. Sustainable Infrastructure: This inquiry reflects an interest in deepening understanding of what the emerging field of sustainable infrastructure might mean in the African context marked by massive backlogs, limited finance resulting in challenges for affordability, and fragmented institutional capacity. Building on earlier work for the International Architecture Biennale of Rotterdam 2016 dedicated to the Next Economy (with Prof Mark Swilling and Tau Tavengwa); research for the Cities Alliance Africa Think Tank; and ongoing collaboration with Dr Katherine Hyman, this research will focus on the regional implications of transitions in energy, mobility, ICT and land-use regulation. Adaptive Urban Governance: This is an enduring theme of my research over the past two decades. During 2017-2018, I am concluding an inquiry on so-called turnaround cities: Addis Ababa, Nairobi, Johannesburg, Kigali, Lagos and Luanda. The research will manifest in an edited volume in 2018 under the auspices of PASGR. I am also continuing long-standing research on the tensions between long-term strategic planning priorities and short-term imperatives. The empirical focus of this work is Johannesburg (in collaboration with Graeme Gotz) and Cape Town (in collaboration with ACC colleagues as part of our Mistra Urban Futures work). A related inquiry (led by Anton Cartwright) will unfold over the next three years to conduct two new “Urban Transition Assessments” on behalf of the New Climate Economy Special Initiative, the Coalition for Urban Transitions. This work will explore governance and institutional attributes for guiding Africa’s urbanisation in order to clarify what ideal-type African National Urban Policies should contain now that these instruments have been mainstreamed since Habitat III. Speculative Urban Experiments: Since the publication of Counter-Currents in 2010 I have been interested in how one can retain open spaces for critical and speculative thought on alternative urban futures, at various scales. This kind of work demands an engagement with the humanities (history, art, cultural studies) and spatial disciplines (architecture, planning and design) and has naturally led to a curatorial practice in close collaboration with Tau Tavengwa. In furthering this work, we have established Cityscapes Collective which anchors my work over the next few years. We are principally working on new issues of Cityscapes—an international magazine on emergent urbanisms in the global South, dealing with South Asia, Photography, Latin America and “Moonshot” ideas for vibrant urban futures. This exploration is meant to grow a network of experimenters and an exhibition by 2019/20. Urban Innovation Systems: My research on multi-level governance systems and the imperatives of experimentation has led to the conclusion that we need to think more proactively about how city-region innovation systems can be nurtured and mainstreamed into traditional innovation systems driven by national governments. Over the next few years I am conducting advocacy work with organised local government (UCLG), Cities Alliance, UN-Habitat, the African Development Bank, among others, to garner their support for the growth of such institutions, which in turn would provide an ideal entry points for African universities to play their role in the co-production of meaningful knowledge on experiments in adaptive urbanism. Urban Pedagogy and Southern Urbanisms: Since 2015 I have been working on a high priority ACC project to develop a new Masters/PhD track for black students to become leading scholars in urban studies over the next decade. Since 2016 we have been able to accelerate this work through a grant from the Andrew W Mellon Foundation to design and deliver a new MPhil in Southern Urbanism. I am centrally involved (with Prof Sophie Oldfield and Dr António Tomás) in the curriculum design research and will lead one of the core modules on urban theory. In late 2017, we will run a two-week pilot and expect the first in-take in 2018. This work is done with advisory support from Dr Gautam Bhan from the Indian Institute for Human Settlements. MPhil in Urban Infrastructure and Design. More broadly, I contribute to the Development Studies Initiative of the University of Cape Town. This work will manifest in a major international conference in 2019. Invariably my research, policy engagements and curatorial interests embed me in various international networks. For example, since 2014 I have been involved with the Research by Design Working Group anchored by Henk Ovink and Eric Klinenberg. Also, since last year I am co-lead author with Prof Saskia Sassen of the Urban Chapter of the forthcoming report of the International Panel on Social Progress. I further serve as a member of the Sustainable Development Solutions Network Thematic Group on Sustainable Cities established to promote the Urban Sustainable Development Goal. I am also a jury member of the inaugural Africa Architecture Awards 2017. Finally, on the applied end of things, I led a Panel of Experts supporting the South African government to formulate an Urban Development Framework for South Africa. The policy is meant to lead to more coherent and effective urban regimes in South Africa over the next few years. I worked on the background paper dealing with global shifts in urban governance for the World Cities Report 2016 published by UN-Habitat. I also assisted in drafting the UN-Habitat and ECA discussion paper, Towards an African Urban Agenda, which is one key informant for policy deliberations in Africa on Habitat III. In 2016 I was co-author of the Conclusion and Recommendations chapter of the GOLD IV Report of UCLG. Edjabe, N. and Pieterse, E. (eds) (2015) African Cities Reader III: Land, Value and Property. Cape Town: Chimurenga Press & African Centre for Cities. Parnell, S. and Pieterse, E. (eds) (2014) Africa’s Urban Revolution. London & New York: Zed Books. Pieterse, E. and Simone, A. (eds) (2013) Rogue Urbanism: Emergent African Cities. Johannesburg: Jacana Publishers in association with African Centre for Cities. van Donk, M., M. Swilling, E. Pieterse & Parnell, S. (eds.) (2008) Consolidating Developmental Local Government: Lessons from the South Africa Experiment. Cape Town: UCT Press. Pieterse, E. (2008) City Futures: Confronting the Crisis of Urban Development. London and New York: Zed Books. Hyman, K. and Pieterse, E. (forthcoming) “Infrastructure deficits and potential in African Cities”, in: Burdett, R. and Hall, S. (eds.) The SAGE Handbook of Urban Sociology: New approaches to the twenty-first century city. London: Sage Publishers. Pieterse, E. (2017) “The City in Sub-Saharan Africa”, in: Short, J.R. (ed) A Research Agenda for Cities. London and New York: Sage. Pieterse, E. and Cirolia, L. (2016) “South Africa’s Emerging National Urban Policy And Upgrading Agenda”, in Cirolia, L., Smit, W., van Donk, M., Gorgens, T., & Drimie, S. (eds) Participatory Informal Settlement Upgrading in South Africa. Cape Town: UCT Press. Pieterse, E. (2016) “Landscapes of Terror: Cityness, routine violence and urban development”, in Khan, F., Grundling, E., Ruiters, G., Ndevu, Z. & Baloyi, B. (eds.) State, Governance and Development in Africa. Cape Town: UCT Press. Pieterse, E. (2016) “Deciphering the Next Economy and African Cities”, in Brugmans, G., van Dinteren, J. and Hajer, M. (eds) IABR-2016-The Next Economy. Rotterdam: International Architecture Biennale Rotterdam. Pieterse, E. (2015) Epistemological Practices of Southern Urbanism. In: Wowo Ding, Arie Graafland, and Andong Lu (eds) Cities in Transition II. Power, Environment, Society. Rotterdam: nai010 Publishers. Pieterse, E. (2015) “Inclusion”, in Ronan Paddison and Tom Hutton (eds) Cities and Economic Change. Sage Publishers. Pieterse, E. (2015) “Africa’s Urban Imperative”, in Provoost, M. (ed) Cape Town: Densification as a cure for a segregated city. Rotterdam: International New Town Institute. Pieterse, E. and van Donk, M. (2014) “Citizenship, design activism and informal settlements upgrading”, in: SACN. 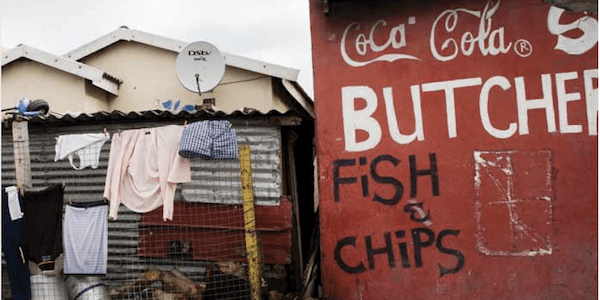 From Housing to Human Settlements: Perspectives on South African Cities. Johannesburg: South African Cities Network. Pieterse, E. and Hyman, K. (2014) “Disjunctures between urban infrastructure, finance and affordability”, in Parnell, S. and Oldfield, S. (eds) The Routledge Handbook on Cities of the Global South. London: Routledge. Pieterse, E. (2014) “Pushing against the frontiers of urban studies in (South) Africa”, in Kalagas, A. (ed) Slumlab: Made in Africa. No 9. Zurich: ETH University. Pieterse, E. (2013) “Development, Planning and Sustainability”, in Greg Young and Deborah Stevenson (eds) The Ashgate Research Companion to Planning and Culture. Ashgate Publishers. Pieterse, E. (2013) “Competing imaginaries of empowerment in African Cities”, in Lepik, A. (ed) Afritecture. Building Social Change. Ostfildern: Hatje Cantz Verlag. Pieterse, E. (2013) “Rethinking the purpose and modalities of community development in South African cities”, in GGLN. Active Citizenship Matters. Cape Town: Good Governance Learning Network. Pieterse, E. (2016) Interviews with Rebuild by Design’s Working Group of Experts by Daniel Aldana Cohen, Public Culture, 28(2): 328-333. Parnell, S. and Pieterse, E. (2016) Translational global praxis –rethinking methods and modes of African urban research. International Journal of Urban and Regional Research. Pieterse, E. (2014) Adaptive Urbanism: Sensing the Interstices of African Cities. Harvard Design Magazine, No. 37: 80-85. Pieterse, E. (2013) “Rethinking African urbanism from the slum”, Sustainable Urban Development, 32(3): 14-18. Pieterse, E. (2013) “City/University Interplays amidst Complexity.” Territorio, No. 66: 26-32. Sitas, R. & Pieterse, E. (2013) “Democratic renovations and urban imaginaries”, Third Text, 27(3): 327-342. Pieterse, E. (2012) “High Wire Acts: Knowledge Imperatives of Southern Urbanisms”, The Salon, Volume 5: 37-50. Pieterse, E. (2011) “Recasting urban sustainability in the South”, Development, 54(3): 309-316. I am deeply immersed in developing curriculum for a new Masters degree in Southern Urbanism that is due to be launched in 2018. This initiative seeks to create a pathway for a next generation of urban scholars from Africa rooted in a postcolonial Southern perspective. I supervise four PhD students, one MPhil student and three Post-Doctoral candidates. I am a member of the Scientific Committee of the International Panel on Social Progress and the Research Advisory Committees of: The Gauteng City-region Observatory, the Indian Institute for Human Settlements, and LSE Cities. I was a founder member of Isandla Institute where I acted as a board member until October 2016, and I serve on the Board of the Open Society Foundation of South Africa. Africa is not a country!!! This 10 minute remix film acts as a teaser of some concepts and ideas for an upcoming film and exhibition project ACC/Cityscapes will undertake between 2017-19. In Context will explore the true nature and complexity of life in cities across the continent of Africa. How can we transcend slum urbanism in Africa?